The Monash UDRH (University Department of Rural Health) is involved in education, research and consultancies across rural Victoria, nationally and internationally. We have a special focus on Indigenous health, mental health, interprofessional education and workforce issues associated with rural nursing and allied health professions. The CDM Node is an affiliated centre of the Joanna Briggs Institute. 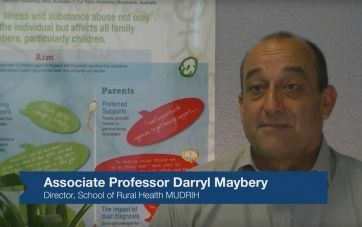 A collaboration between MUDRIH and the School of Nursing and Midwifery(in partnership with Latrobe Regional Hospital and Latrobe Community Health Service) it works to make the best available evidence accessible to health professionals.